Back out onto Stroll we go for the official last one of the summer, and it couldn't have gone any better with crowds running through every gallery on the list. A lot of old favorites and new names mixed well together as most every showing was in groups of three or more, presenting an interesting mix of material across the board. But the big thing to talk about this month is a brand new gallery that opened up on, of all places... Pierpont! --- Shocking, I know, but true. The once flourish art district which has been looking more like a run down train station over the past couple years has been getting a couple of makeovers with new businesses, which we'll discuss more of later in the week. The highlight to these changes is the new Gray Wall Gallery that moved into the 351 studio building earlier this month and officially kicked off its multi-artist display over the weekend as part of Gallery Stroll. Today we chat with the three artists behind the new location, their current display and what they plan to do from here, plus their thoughts on local art and other galleries, along with photos from this past Friday that you can check out here. Tamara: My name is Tamara Fox. I went to school at Utah Valley University. I am the owner of a green cleaning company, Elemental Cleaning and Organizing and recently have focused most of my energy on my artwork. Matthew: My name is Matthew Hall, I am an artist, designer, and co-owner of the Gray Wall Gallery. I grew up in Utah and went to school at Alfred University in upstate New York. Currently my projects include my book work, ceramic work, and design work for many local arts groups. Sarah: My name is Sarah Cuvelier and I am one of the three owners/founders of Gray Wall Gallery. I currently live in Bountiful, Utah with my husband, three children and two dogs. Gavin: How did you each take an interest in art and what were some of your early influences? Matthew: My interest in art was sparked by an art requirement at my high school. I was reluctant to take anything until I found out about the ceramic class. When someone told me that I could play with mud instead of do homework I was sold. At the end of the year I won the academic award for ceramics, and I was hooked. At the start of my senior year I decided I wanted to pursue ceramics in college and started drawing so that I could apply. My first four drawings were the only non ceramic work in my portfolio applications. The same scenario sparked my interest in keeping with the print and expanded media work. In the final critique of my sophomore expanded media course my teachers, Kathy Vajda and Steven Pederson, made a point that they both thought I really should continue in that department and were disappointed to hear that I had not signed up for credits in that department yet. After some thought I took their advice, which extended through to a double concentration. People that directly influenced my work heavily include Ed Luce, Kathy Vajda, Tapio Yli Vikarit, and Wayne Higby, and artistically I've taken a lot from Glen Ligon, David Bunn, Chinese Porcelain, and American Art Deco ceramic styles. Sarah: I started taking pottery classes in school when I was 14. We lived in California and I need a class to keep me out of trouble. I continued with pottery even after we moved to Utah at the age of 16. I attended Bountiful High and found 2 amazing teachers that quickly became my mentors. Scott Bradbury and Jim Arbon helped me with technique and help point me in the right direction. Gavin: Matt, you got your BFA at Alfred University. What made you choose their program, and how was it for you earning your degree there? Matthew: I chose Alfred for the unbelievable ceramic program, facilities and the teachers there. The program forced diverse training in several mediums during the first two years. Because of the requirement I was able to take on many more mediums and courses than I ever really intended. I graduated with concentrations in Expanded Medias and Ceramics, and the diversity of my work has really allowed me to look at work more based around what I want to do, rather than how I want to go about it within my medium of choice. Gavin: With the options available to you at the time, what made you decide to move back to Utah? Matthew: I moved back to Utah to spend some time with my family and have some time to figure out how to support myself. It was nice to be able to have that support while I really started working outside of school. I had options to stay on the east coast and almost stayed in Rochester, but Salt Lake won out in the end because I had family here. I'm actually really glad that I did come back the more I think about it. I would not be the same person today, nor would I be in a position to give this interview if I had stayed on the east coast. Gavin: What made you gravitate more toward graphic design, and how have things been going for you professionally? Matthew: I'm not sure I really ever gravitated to design as much as fell into it unexpectedly out of my work with books. Much of my work during my Junior and Senior year of school focused on the book—or text itself—as a medium, and I studied them heavily to understand what I was working with and the history behind it. Everything from contemporary books to illuminated manuscripts were a part of my daily research. I found myself falling in love with the medium, and in trying making artwork in the medium. My jump do design wasn't ever really a jump, but finding myself playing in the realms of design often enough that I became a designer as well. A few months after I moved back to Utah I found a job at Mills Publishing, where I was able to really work with small programs and books that I had become so fascinated with and really began to understand the production and design end of the books. The largest adjustments for me were focusing on presenting the message of my editors as they needed it, rather than subvert or alter as I do with my artwork. I've become much more aware of the shades of gray between artwork and design because of my experience as a designer. I often try to push that line back and forth from both sides of the fence. Professionally I feel that I'm getting much better every year. I have a few projects currently I'm really excited about; namely the season artwork for Salt Lake Acting Company. Outside of my job at Mills, I've actually been doing less and less design work as my art career has been gaining traction recently. I'm still taking on small projects here and there, but I'm really happy to be able to do more artwork than just designing all day. I actually think that the balance is helping me in both areas. The physical tasks are often the same, but the mental part of both tend to help me relax from the other. Gavin: Tamara, what made you choose UVU for your college, and what got you started in art while you were there? Tamara: I chose UVU because I was living in Utah County at the time and had heard great things about it. I took a painting class because I love to create and thought that it would give me a more relaxing class in between the other more studious classes. I ended up spending most of my time on that painting class because I loved it so much. Gavin: What made you take a more seriously look at being an artist later on, and how are your own pieces coming along? Tamara: After years of running my own business I a began to do art on the side as a creative release. Very quickly it turned into a more serious endeavor. It is so fulfilling that I couldn't help but get more serious about it. I have been very pleased with the progress of my work. It is always changing and growing with me and reflects where I am as person. Gavin: You also own your own business, Elemental Cleaning. How did you end up developing that business, and was it a challenge making it a green company? Tamara: I had been interested in business for awhile and chose the cleaning industry because of the relatively simple start-up. Business is always challenging but making my company a green company was one of the simpler aspects. There weren't any others at the time and I have always had a passion for the environment. It was easy to see that this was something Utah needed. Gavin: For you Sarah you went to Utah State for your degree. What made you choose Logan, and how did their program work for you? Sarah: I attended Utah State University after I graduated from high school in 1995. I chose USU because I really loved hiking and backpacking and think that Utah is the perfect place for that. USU also has an amazing art/pottery program that I wanted to be a part of. I loved living in Logan and attending USU. Gavin: What made you decide to head out onto a mission after college, and essentially start a normal life rather than take up art when you got back? Sarah: Serving a mission for my church was something that I had wanted to do for many years. It was a difficult decision on weather or not I should put my artwork on hold or just keep growing where I was. My choice to go and serve took me to the great state of Indiana, where I served for 18 months. Gavin: What pushed you to get back into art, and more specifically teaching it over at East High? Sarah: Coming back to my artwork took a crazy turn. It was six years ago this summer that my daughter, Ellie, passed away from heart disease. Her death was the most painful thing I have ever had to face, but through all that grief, I was led back to my roots of being an artist. Working as a potter and seamstress/designer helped me to crawl out of that darkness and find my own voice again. It was about four months after Ellie’s passing that I was approached by the community education department at East High because they were in need of a new pottery teacher. I was reluctant, but agreed to take the class. Teaching that pottery class has been such a blessing in my life. Gavin: How did the three of you meet each other and eventually become friends? Tamara: Sarah was my pottery teacher for two years and Matt answered a Craigslist ad about a shared gallery space. When we got together to talk about starting Gray Wall Gallery it was quickly apparent that we had a shared vision. We each had skills that the others lacked but together we had everything we needed. Gavin: Where did the idea come from to start up Gray Wall Gallery, and how did you choose the name? Tamara: Sarah and Tamara had talked for a few months about the idea of starting a shop or boutique. When Tamara came across the Pierpont spaces it was to good an idea to pass up. Matthew: The name for the gallery was a difficult decision until we decided to name the gallery after the gray wall that already stood as the most prominent feature of the space. The exposed brick painted gray was the inspiration for both the gallery name and ideogram of the logo. Gavin: With all the locations around the city, what made you choose Pierpont for the location, and how did it go for you remodeling the place? Matthew: Pierpont was an ideal location for it's history. Remodeling has had it's challenges, but the space we chose was ready for us on day one; within twenty-four hours of taking keys we hung our first artist on the wall. We've been fortunate and able to work with what we had until we can make it better. Tamara: Pierpont has always been known as a street for art. We wanted to bring that reputation back. Our space needed very little remodeling. We've put in some better track lighting and done a little bit of clean up but other than that it was already set up as a gallery. 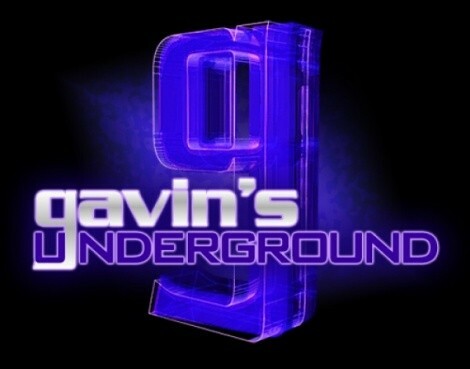 Gavin: What was the process like for all of you in choosing the artists who will come in each month? Sarah: The process of selecting the artists for the gallery has been pretty simple. I am responsible for contacting new artist, receiving and reviewing all the portfolios. From those, I choose the ones that I think would work the best and bring them to the other owners. As a group we select together and go from there. Through out the year we are wanting to highlight a specific month by choosing a theme. On those months, we will try to find work that fits within the theme. Gavin: For those who aren't aware, tell us who you'll have on display this month for Stroll. Tamara: We will be showing work by a group of unique and different artists. Daren Young's realistic landscapes and views of Venice, Jason Wells' recycled stencil paintings, Alex Boynton's abstract confrontation with science, Jacob Shirley's sprayed canvases, Guadalupe Rodriguez' stunning photography, Matthew's deconstructions of books and ceramic works, my reconstructed animals and paintings, and Sarah's vases and vessels will all be available to view and purchase. Gavin: Being a brand new gallery, what's your goal for the place in the longrun? Tamara: I would love to see the gallery flourish and expand into a larger space so that we can accommodate even more artists, classes and lectures than we already do. Matthew: I hope to allow this gallery to grow into the place where anyone can break out of obscurity. A place where patrons can expect to see something new every time they come through our doors while fostering a new audience that is open to seeing that work beyond the gallery walls. Matthew: I think that there are a fair number of efforts to make the scene better, and there are many people working on great work. Unless we—as a community—support those young, developing artists and their work we will start losing those artists and projects to obscurity. I want to see more efforts to support new work, and new ideas from artists in Utah. Sarah: Making art more prominent just brings me to one word… Education. Teaching others about the importance of art will help individuals appreciate what is being made, give them the desire to create for themselves, and to encourage there friends and family to continue working on new ideas. Gavin: What's your take on Gallery Stroll as a whole and how its doing these days as an event? Matthew: I have been surprised to see how much it has grown, and it is a wonderful way for the community to come out en mass to support art and participate in the art world. We're really excited to be a participating member of the gallery stroll. Gavin: A little more in depth, what are your thoughts on the galleries we have here in Utah and the work they do? Tamara: We are so excited to be apart the gallery community. There are so many galleries showing great work and we are very happy to add to the variety that's available and showcase some of the work that is not being shown at the other galleries. Gavin: What's your opinion on the festivals we have here in Utah and what they do to promote local art? Matthew: I am a big fan of the fact that festivals draw a lot of attention to the arts here in Utah, namely the Utah Arts Festival and the Park City Arts Festival. I'd love to see more of a push for arts being a year-round event that extends beyond the festivals. Gavin: What can we expect from the three of you and the gallery over the rest of the year? Matthew: New work, new artists, and new shows! Tamara: I would love to say thank you to all the great people who have supported us: Derek Dyer at the Utah Arts Alliance, Kevin Neumann, Gianni Skolnick, Steve Seare, Jonathan Fox, Ivan Banning, Will Santee, all of our artists and all our family and friends. We've had such wonderful feedback, ideas, and help! Matthew: I'd like to plug for two stage arts groups that I do design work for and who's work I love. Ririe Woodbury and Salt Lake Acting Company. Both are starting their seasons soon and—having seen the performance lineup—I'm excited for both. Ririe Woodbury kicks off next weekend with “Configurations”, and Salt Lake Acting Co. starts off with Angels In America on October 6th. Sarah: I am an artist and love to create; however, I am a mother and a wife first. My heart lies with my beautiful children, both living and gone. My son Jackson has a mental health disability called Autism. The number of children being born and diagnosed with Autism is growing every day. I urge you to be supportive and empathetic to those children and families that are struggling with this trial. To learn more, visit AutismSpeaks.com.